Everyone loves a good spy story, but most of the ones we hear are fictional. That's because the most dangerous and important spycraft is done in secret, often hidden in plain sight. 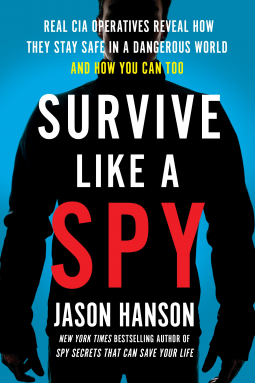 In this powerful new book, bestselling author and former CIA officer Jason Hanson takes the reader deep inside the world of espionage, revealing true stories and expert tactics from real agents engaged in life-threatening missions around the world. With real-life spy drama that reads like a novel paired with expert practical techniques, Survive Like a Spy will keep you on the edge of your seat – and help you stay safe when you need it most.